Sree Muthappan is the personification of two divine figures – Thiruvappana (Lord Vishnu) and Vellatom (Lord Shiva). The dual divine figures Thiruvappana and Vellatom are similar to those of the Theyyamkaliyattem of the Northern Malabar region. Though Sree Muthappan is worshiped as a single deity, it actually represents an integrated or unified form of two Gods, namely Vishnu (with a fish-shaped crown) and Shiva (with a crescent-shaped crown). Parassini Madappura is administered by the Parassini Madappura Family. The Madayan, the senior most son-in-law of the family (on the bases of ‘Marumakhathayam’) is in charge of all administrative and managerial activities of the Parassini Madappura. The one who honors the post of Madyan is always the elder member in the ancestral home of a Thiyya community . All family members help him in managing the Madappura. All rituals and poojas for Sree Muthappan are done by the Madayan. He is in charge of the Madappura till he is alive. The successors of Kundathil tharavadu are nowdys managing the role of Muttapan’s image at Parassini Madappura. Parassini Madappura Sree Muthappan Temple located on the banks of the river Valapattanam is one of the famous shrine in Kerala. The shrine is dedicated to Sree Muthappan. Parassini Madappura Sree Muthappan Temple is not a Kshethram but it is a madappura. Unlike other temples, the devotees can 'interact' with the God as they pour out their grievances in a free-wheeling 'chat' with the tastefully decorated "Muthappan Theyyam", an artist who assumes 'divinity' by representing the God. 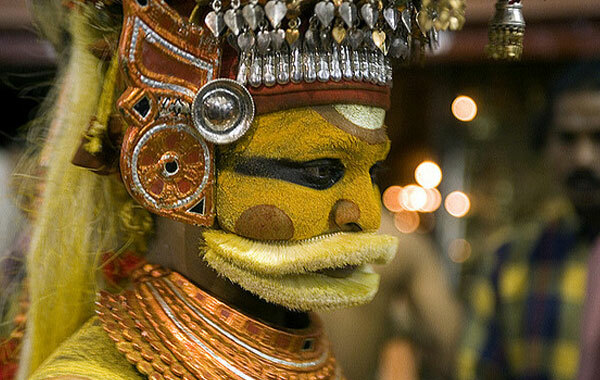 The theyyam responds with convincing solutions, which are believed by the devotees as sacred and that of the God. Muthappan theyyam then parts with the liquor and elder male devotees take it as ‘necter’ while the other offerings are set apart for dogs, considered the Lord’s pet animal, which eagerly wait outside the temple to pick up the dishes.